Discover a tropical oasis at the Sheraton Resort & Spa Tokoriki Island. 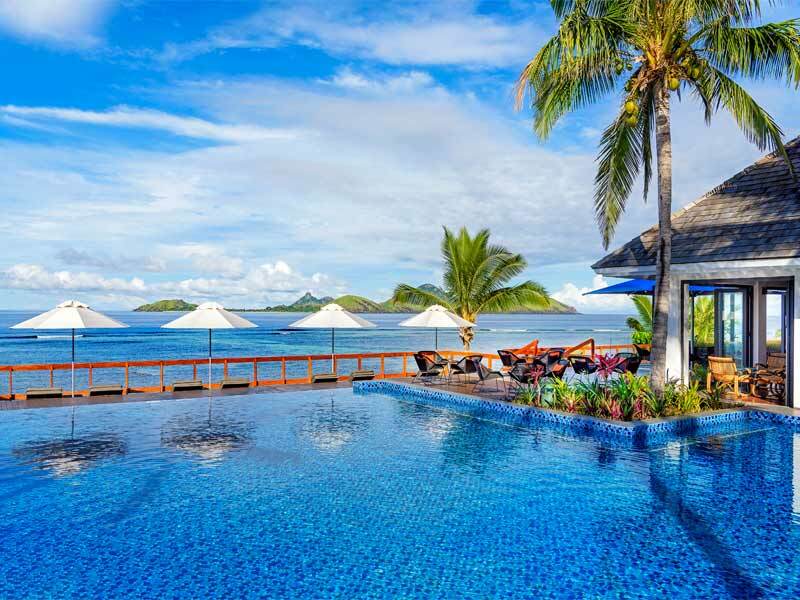 Fresh off a revitalising multimillion dollar renovation, this stunning resort exudes luxury and is the best way to get acquainted with the beautiful and unspoilt Mamanuca Islands. 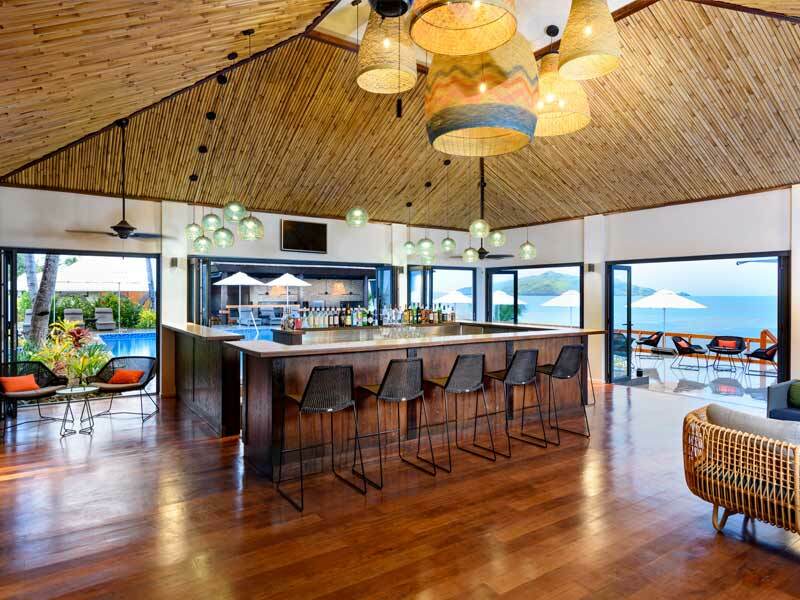 Experience a new realm of luxury nestled into the Mamanuca Islands! 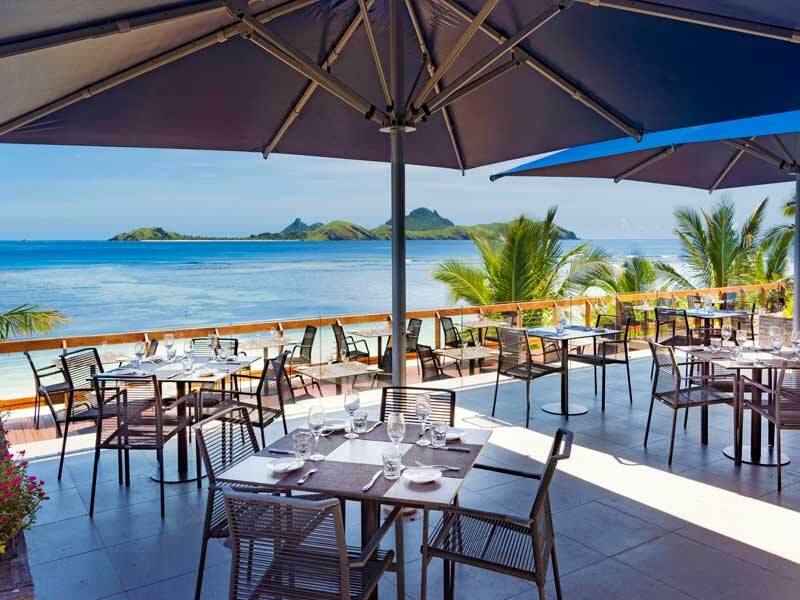 The Sheraton Resort & Spa, Tokoriki Island, Fiji is the only 5-star internationally branded resort in the area. 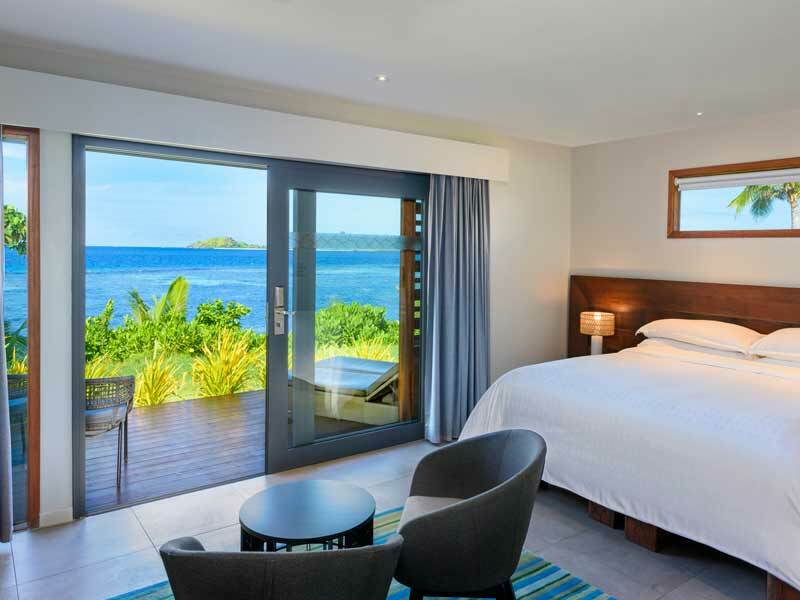 Following a FJ$25-million renovation, it has reopened to offer unparalleled luxury with newly designed guestrooms and incredible central facilities. 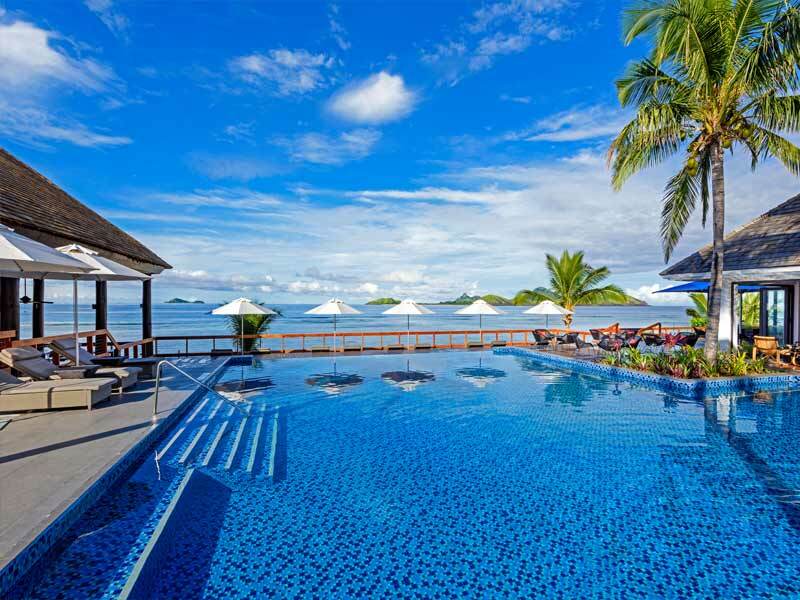 The Sheraton Resort & Spa, Tokoriki Island, Fiji acts as an indulgent oasis away from the stress of the outside world. 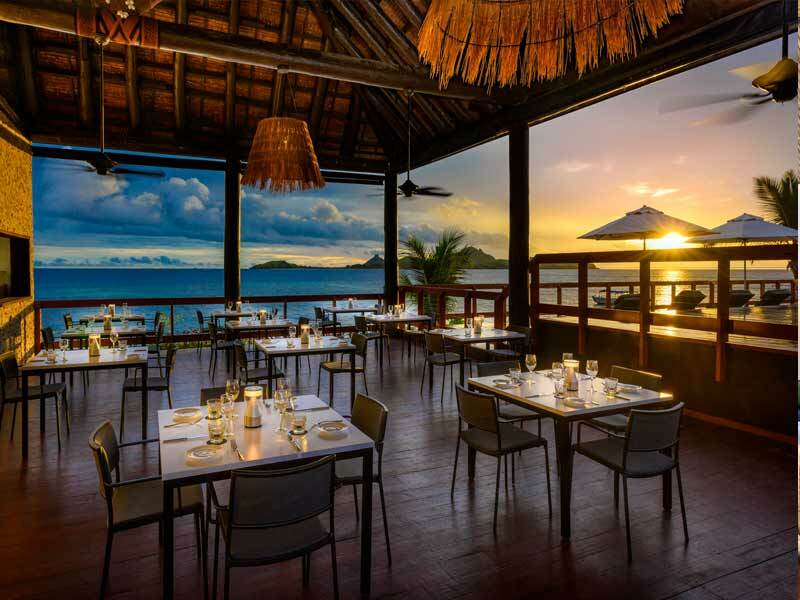 It boasts 2 new dining options, including a poolside Bistro and an engaging Cultural Centre and guests are invited to feast on authentic Fijian cuisine and be thoroughly entertained! 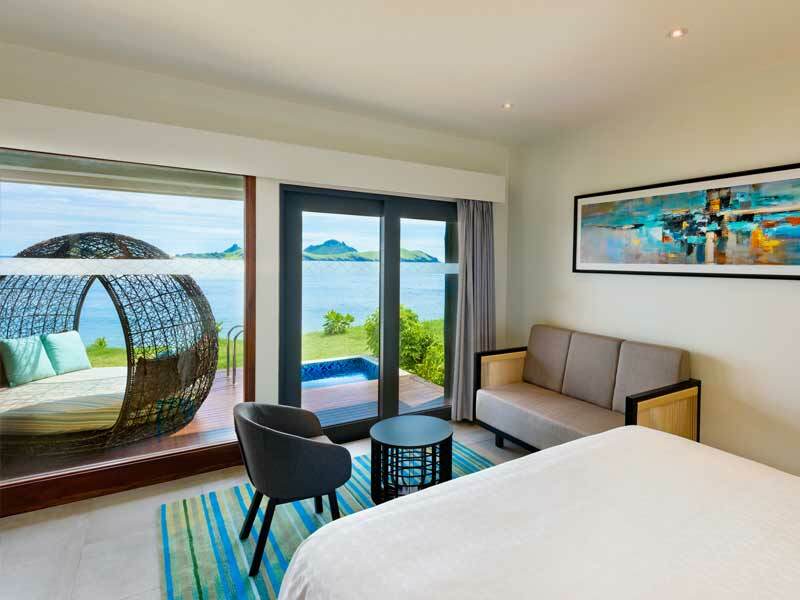 There are 101 spacious guestrooms and suites at this incredible island resort. Each are beautifully sun-drenched and boast a host of Sheraton amenities. Relax in plush signature beds, take in views of the Pacific Ocean from your private balcony and enjoy being surrounded by lush tropical greenery as you watch the breathtaking sunset. 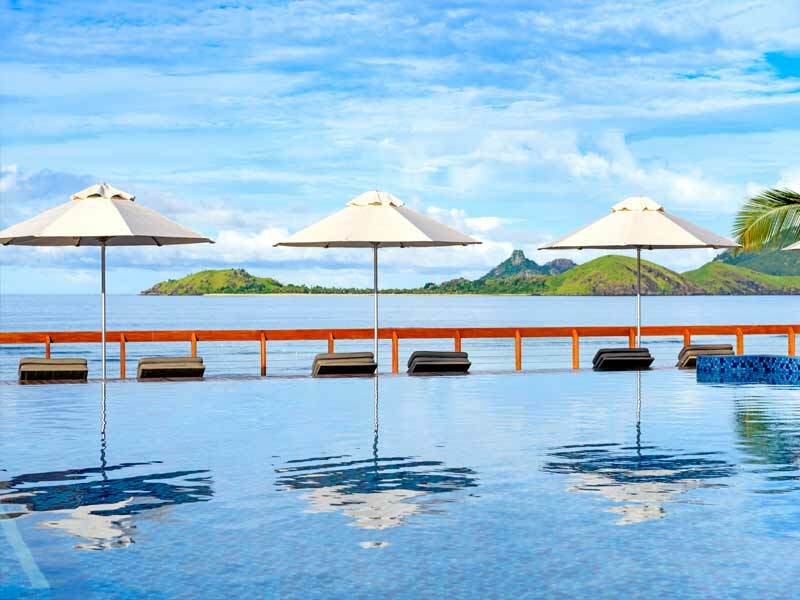 With an indulgent day spa, pool, fitness centre, tennis court, mini golf, restaurants, bars and separate family-friendly and adults-only zones, the Sheraton Resort & Spa, Tokoriki Island, Fiji offers the perfect tranquil escape, no matter who you’re travelling with! 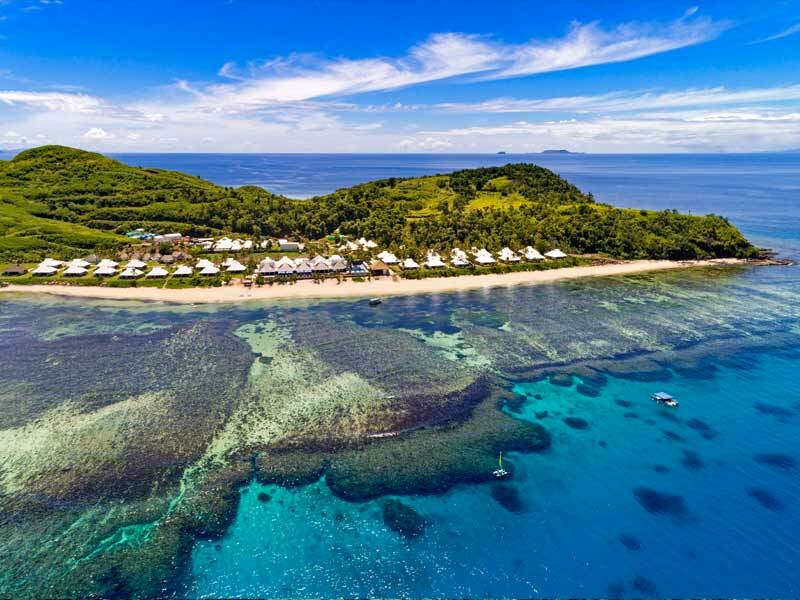 Discover the beauty of Fiji’s Mamanuca Islands at the Sheraton Resort & Spa Tokoriki Island. Set into lush tropical vegetation, this luxurious beachfront oasis is the perfect place to relax and unwind. 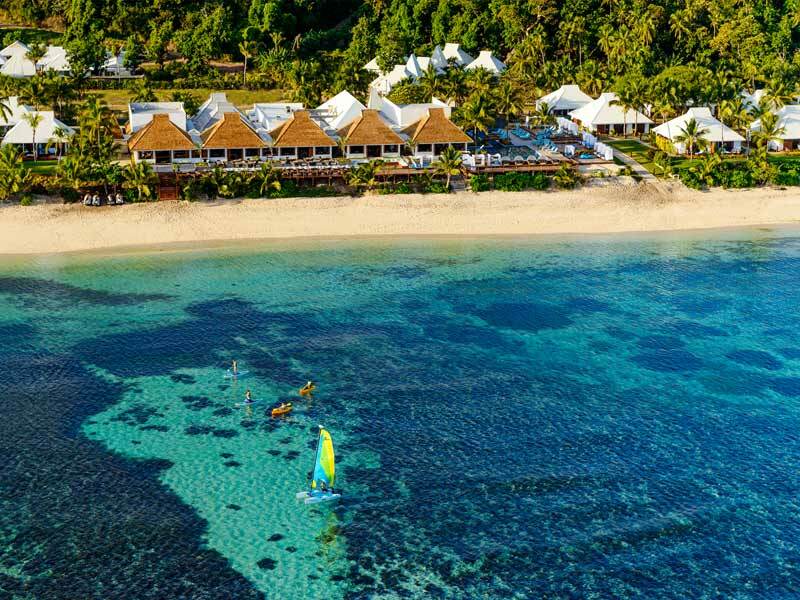 Enjoy stunning reefs not far from shore, island-hop to nearby islands and villages, or indulge in all the facilities and features of this stunning 5-star resort! 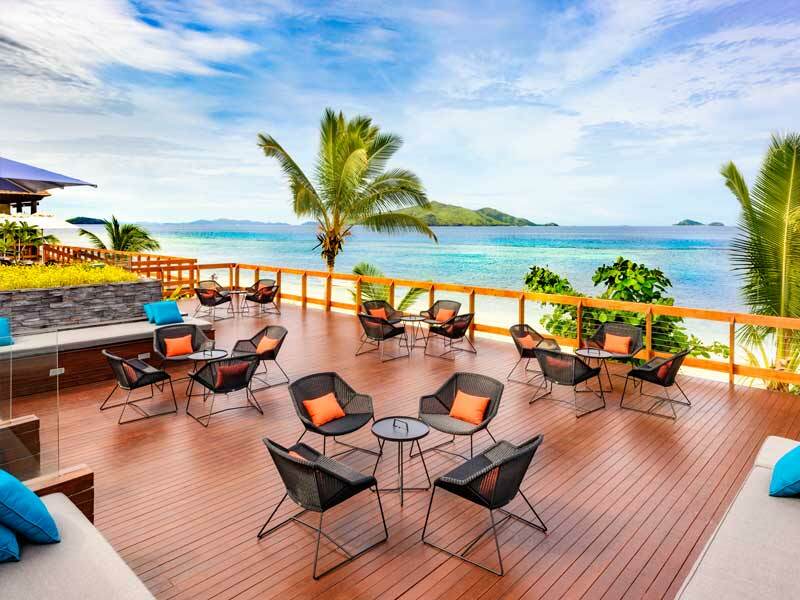 The Sheraton Resort & Spa Tokoriki Island proudly showcases traditional Fijian culture. Take part in kava tasting ceremonies and experience dance and music performances at the Cultural Centre. You will feel like you’re a million miles away, but with all your needs and expectations exceeded! 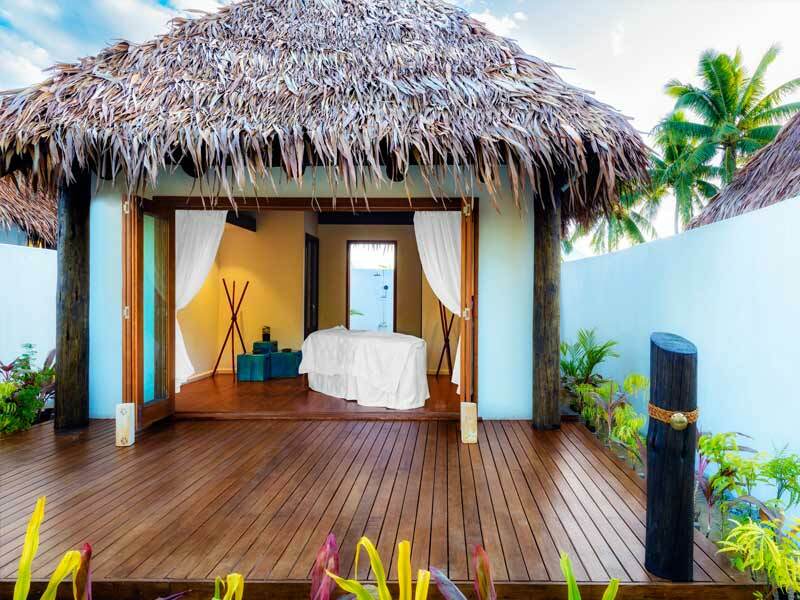 Experience your Fiji holidays surrounded by green, tropical gardens in an Island Breeze Room. With a private deck offering views of the landscaped grounds, these room are a perfect example of Sheraton comfort. The interior is spacious, spanning across 32sq. metres, and features a king sized Sheraton Sweet Sleeper Bed (or two king singles if you prefer) and sitting area in the main room and a spacious bathroom with a rainfall showerhead. The Island Breeze room is less than 100 metres from the waters and offer privacy to all guests who are seeking the island escape. They are also interconnecting for travelling groups or those seeking extra space! 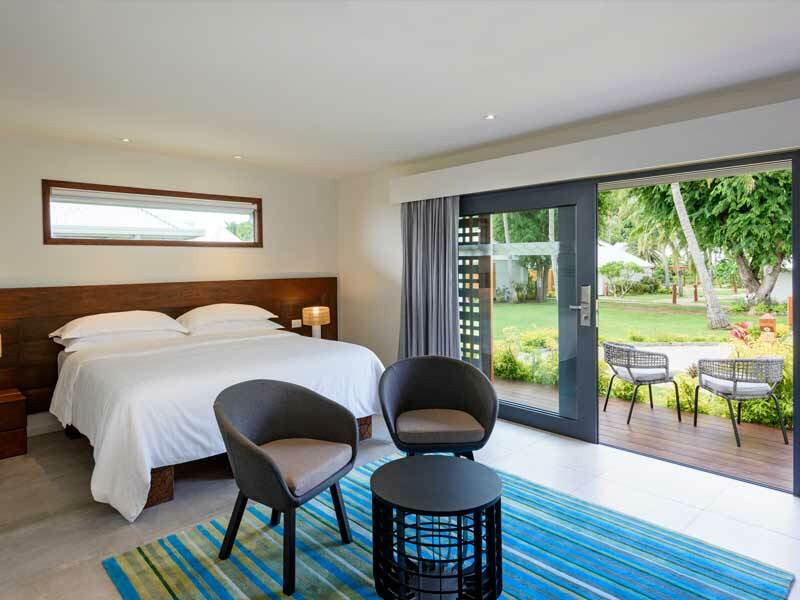 Enjoy the tranquil views of the well manicured surrounding gardens from the private deck of the Ocean Breeze Rooms. Backed onto the Ocean View Rooms, these rooms are just a stone throw from the soft sandy beach and turquoise waters. These rooms are larger than the Island Breeze Rooms and extend across 40sq. metres. 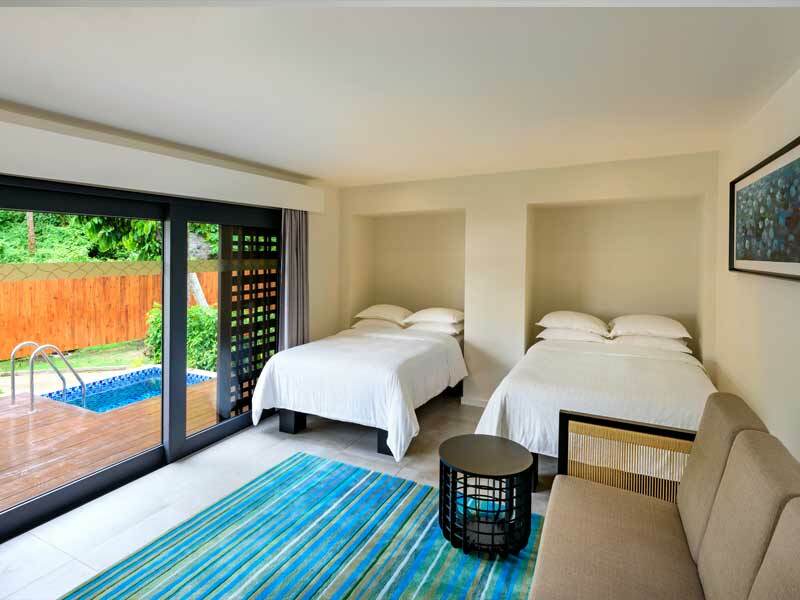 Rest easy on the Sheraton Sweet Sleeper; Stay connected with Wi-Fi access; Keep cool in the air conditioning; Wash your worries away with the rainfall showerhead in the large bathroom; and opt for an Ocean Breeze Room that interconnects with a Beachfront Room if you need. 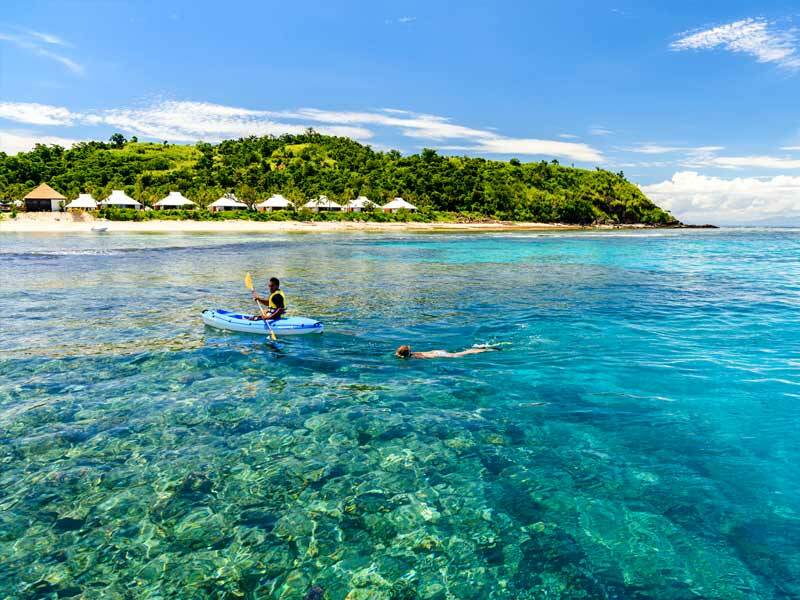 Tokoriki Island makes up a part of the Mamanuca Island group northwest of Fiji’s mainland, Viti Levu. There are non stop flights from Nadi International Airport otherwise you can get to the island via a 12 minute seaplane or helicopter or a 1 hour boat journey from Nadi. Start your days on the island’s own private beach or head out to nearby snorkelling and dive spots. There’s a water sports shack onsite if you want to go for a paddle, or opt to relax by the pool in the central lobby area. 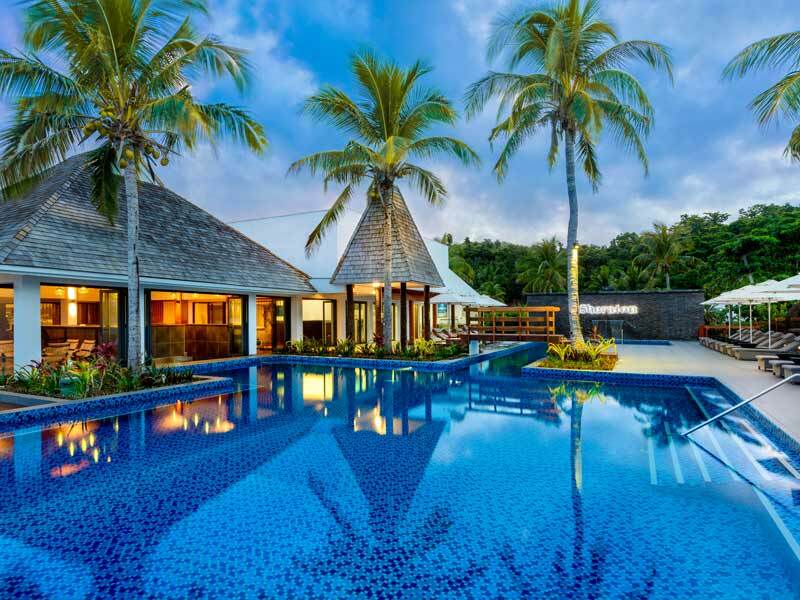 The Sheraton Resort & Spa Tokoriki Island has plenty of activities for families with kids—play mini golf, tennis, or head to the games room and indoor movie theatre. 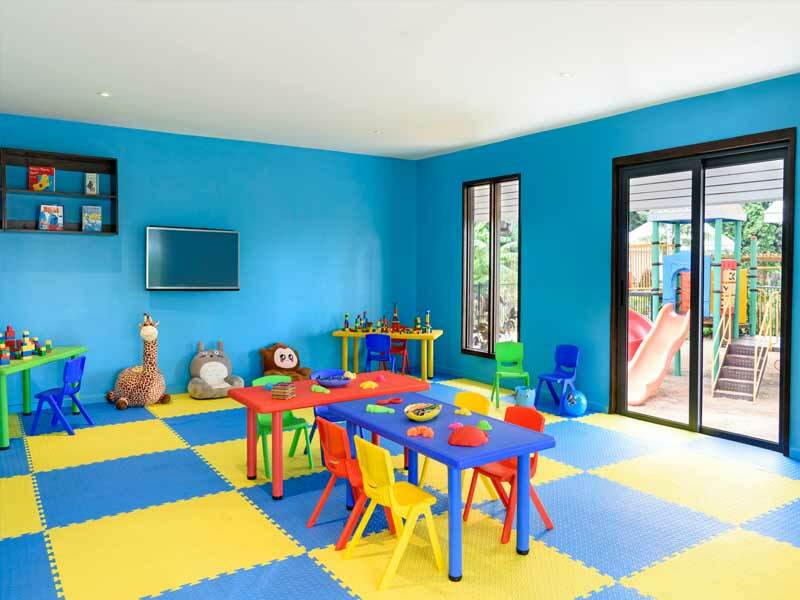 The kid’s club operates throughout the day and into the evening, so parents can head to the adults-only side of the resort to enjoy the fitness centre, day spa, or drinks at the Sala Bar. 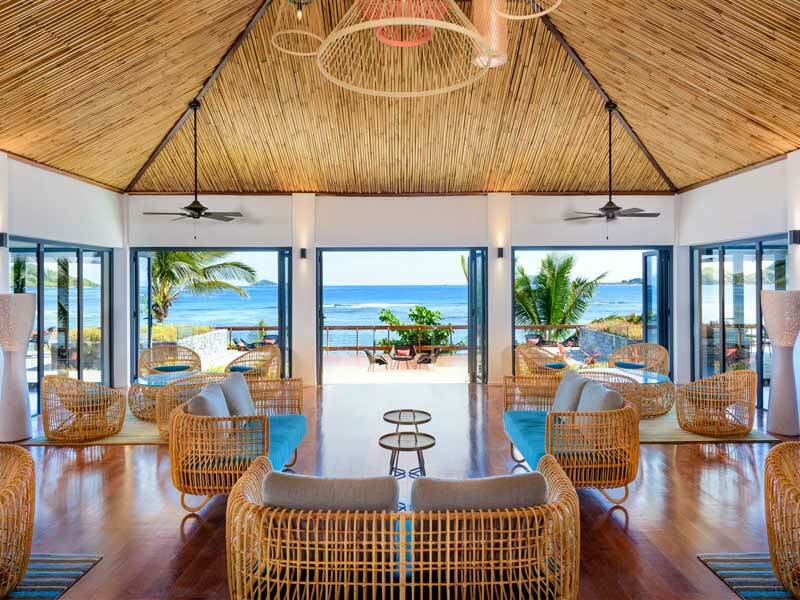 Grab a quick bite to eat at the Pantry, enjoy drinks and nibbles at The Reef, or dine at the internationally renowned Waitui House restaurant. 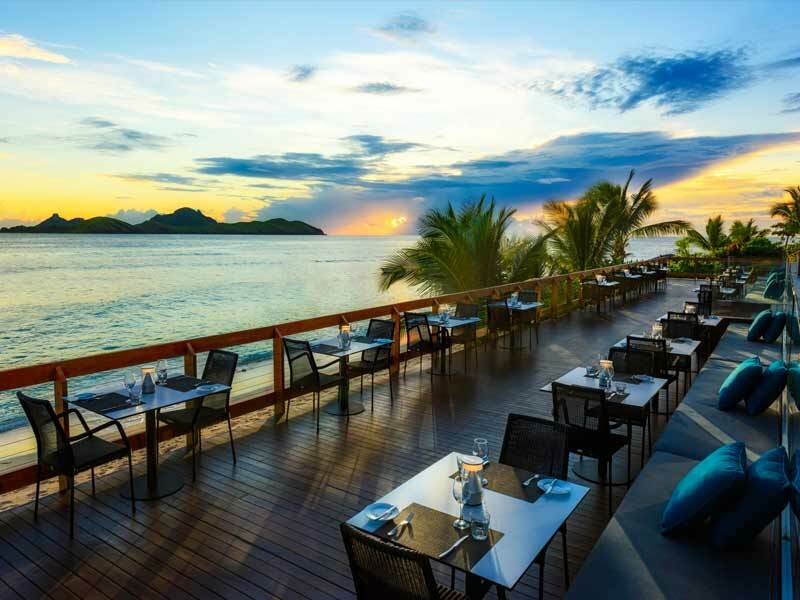 Where “Waitui” means ocean and “House” means guests are treated like family, this restaurant is a truly rare experience. Venture away from the resort and island-hop around the Mamanuca Islands. There are a range of tours that run around the 30 separte islands including jet ski tours, diving and snorkelling trips, a visit to Musket Cove marina, the split level floating platform of dreams, Cloud 9! You will never be short of things to do in the Mamanuca Islands. As soon as I got on the island I felt relaxed & happy! As you’d expect, the staff are truly beautiful inside and out. The resort is classy, yet elegantly simple. There is nothing over the top or pretentious about it. I was able to relax & enjoy myself straight away. The food was delicious. I can’t wait to come back!! 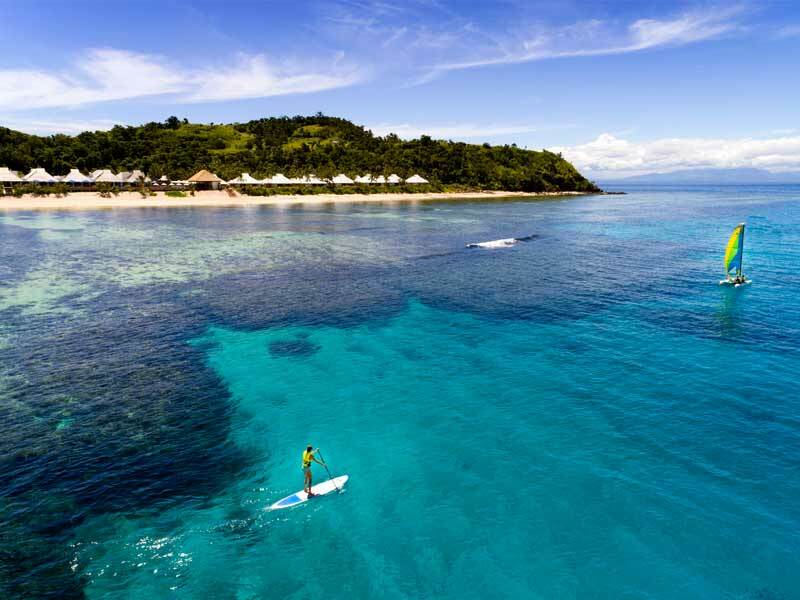 Our Fiji Holiday Experts have done the research to handpick only the finest resorts in Fiji based on quality, service, and location.